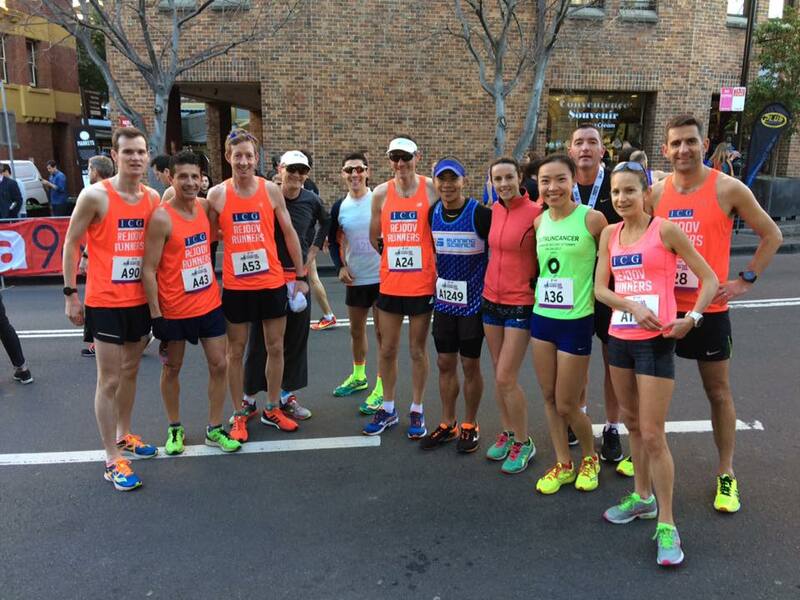 Sensational Winter conditions at the Sydney Harbour 10k on Sunday 9th July 2017! We had 30 runners & 16 pbs with our youngest 15yrs old right through to eldest in her 60s. We took out the top 4 runners in the over 40s category and winning the over 60s category. Our runners continue to grow from strength to strength, well done everyone being part of the action & cheering your buddies! Thanks Andy Reid emcee for all the Rejoov shout outs. Enda & Gidon racing for the finish line!! Congrats guys! Well done Gidon on your big pb 35mins and nearly catching Enda. Thanks Enda for being great for the chase! Everyone happy to finish - well done and thanks to whoever could make it to cheer. Note celebrity appearance from Luca Turinni of Outrun Cancer following his Guinness World Record 24hr solo treadmill 261km! !